We Can Help. We're here for you. 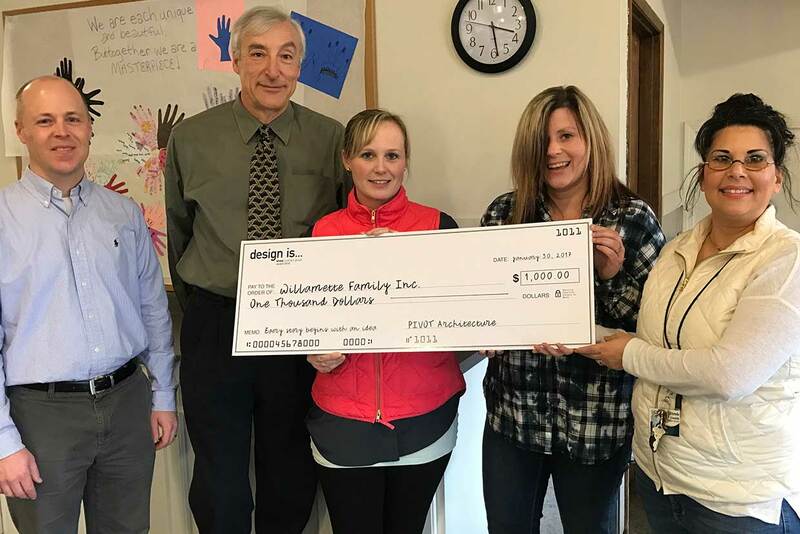 Willamette Family, Inc. offers gender-specific services for women and families in need of mental health and/or trauma treatment as well as substance abuse prevention and treatment. Our program uses an integrated, holistic, strengths-based approach to support healing and growth, including education and intervention for clients and families. Willamette Family is using the $40,000 to provide added support to our Dad’s Program. The Dad’s Program allows for five dad’s to live in a house with their child while receiving drug and alcohol treatment. The Dad’s Program is a family style home where the dad’s and their children reside full time. During the day the dad’s attend Intensive Day Treatment while the children attend school or Willamette Family’s Child Development Center, depending on the child’s age. Willamette Family’s Intensive Day Treatment is comprised of 20 treatment hours a week provided by highly trained and qualified Alcohol and Drug Counselors. In the evening the dads take care of their child as well as maintain the house by cooking and cleaning. The dad’s learn about addiction and recovery while also learning valuable skills such as time management, how to be the primary parent, how to access resources in the community, and more. The men have access to a staff member at all times for support while they develop and grow into capable and confident dads. Thank you to the Great Rotary Raffle and the Rotary Clubs of Lane County for supporting this program and keeping dads with their children.